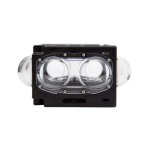 Play 360 videos in 2D mode (one eye) Play 360 videos in 3D mode (streamed to VR Headset) Download 3D 360 videos for a full VR experience. Join the Capoeira artists fight-dancing in quick and complex maneuvers, using power, speed, and leverage across a wide variety of kicks, spins, and other techniques. 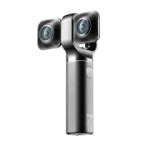 Available now for $439, the Vuze XR Camera makes extraordinary content creation possible in 360° and VR180 with easy and fun affects, quick sharing to social media, and live streaming with a mobile phone. "Dance in the Exhibition: The Rite of Spring of Farid El-Atrache by Orly Portal", Israel Museum, Jerusalem 2018. Best to watch on Oculus go. An inspiring VR interview with Dror, a disabled athlete. Visit the underwater world of the Maldives in this 3D 360-degree VR scuba diving experience. 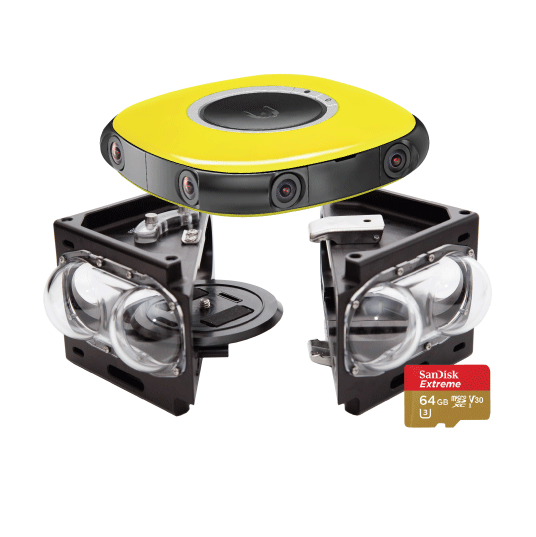 Use your mouse to look around or use a VR headset or Google Cardboard to get the full 3D 360 effect of diving. 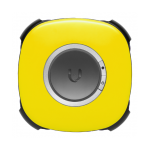 The video was captured with the Vuze VR camera and Underwater Case. Fly side-by- side with astronauts in this the first ever 3D Virtual Reality film shot in space. Now YOU can experience weightlessness… hurtle around the globe at 17-thousand miles per hours…and take in an impossibly stunning view of our home that just might change how you think about Earth. Featuring Astronauts Chris Hadfield, Mae Jemison, Mike Massimino and Nicole Stott. Kungfuscius is an action-packed narrative that takes you from being a third-person observer to a first-person participant in a Kung-fu experience. Parker Howell is a director, producer, animator, virtual reality creator who merges the fine lines between filmmaking, art, and technology. Parker is the creative mind behind the award-winning VR short Kungfuscius; the entire film was shot using the Vuze VR Camera. Imagine yourself drifting into a dreamland with desert sands, hidden waterfalls and rock formations, only to turn and plunge into the deep blue sea of corals and exotic fish and finally float on clouds of salt. Created using the Vuze VR camera, Google Tilt and Ambisonic audio from Visisonics, this video is a wonderful showcase of how VR can be used for music production. “Do one thing every day that scares you.” - Eleanor Roosevelt. Ready to jump? A huge thank you to the Paradive - צניחה חופשית פרדייב club for going along with us, allowing us to capture the entire experience from the ground, to the clouds and back to the ground again. 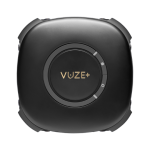 Our Vuzers create amazing content with the Vuze VR camera! Put on your dance shows and join us as we groove! 24 members of the Dirashe tribe, from the Omo Valley in southern Ethiopia. Video and audio recording and production by Jeff Noble. Overlooking Haifa Bay, Zikaron Park, and Carmel Mountain are the Bay Club Hotel, a restored landmark dating back to 1912. Evoking the aesthetic of 1930s Mediterranean panache, the art deco lounge and public library offer a peaceful respite within the most classic of settings. During happy hour, guests can indulge in a soothing massage, sample a selection of delicious bites and sip on a glass of wine in our quaint garden terrace. 52 tasteful rooms are styled with art deco furnishings in calming neutral hues and blues tones, reflective of the harbor's waters, with charming prints that perfectly embody the essence of the era.